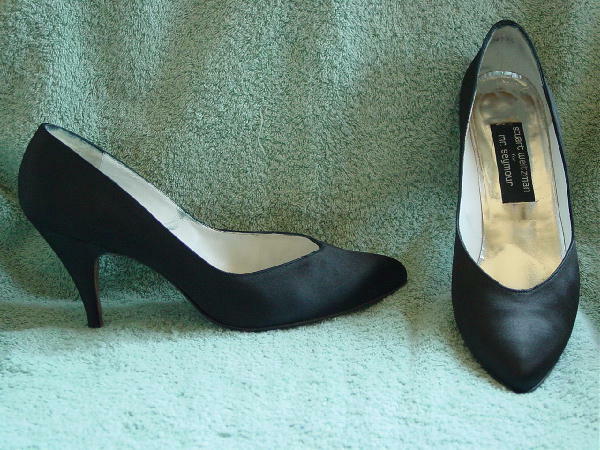 These black fabric pumps have pointed toes, white leather linings, and silver lame insoles. The fabric feels like a silk-satin. They have a classic styling. They're from a stylist's inventory, and were worn once, in a runway show.